More on the Touchstone Emblazon 72 in. 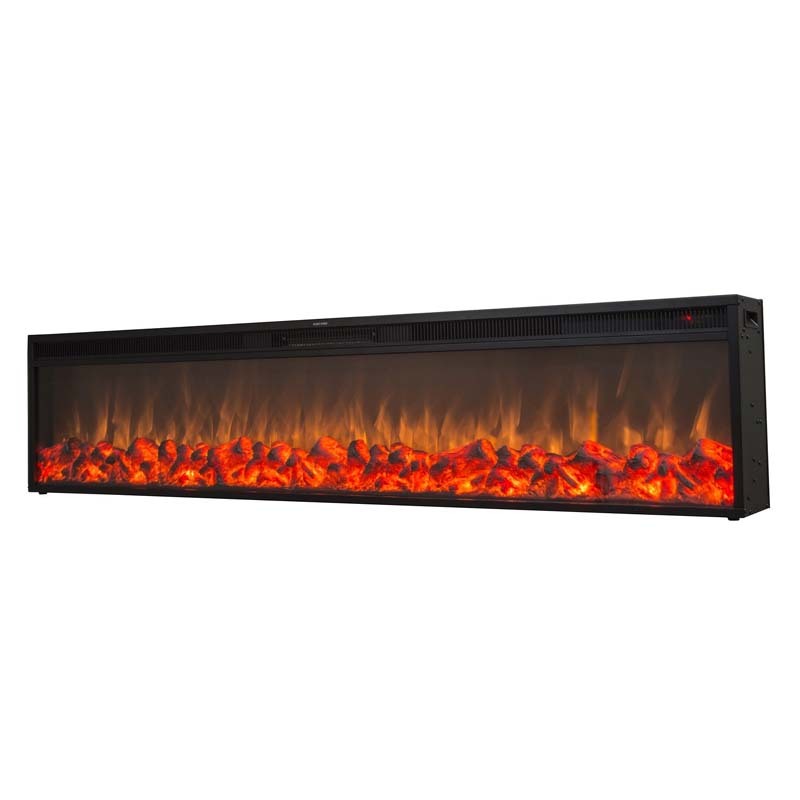 Linear Wall Mounted Electric Fireplace 80103 below. 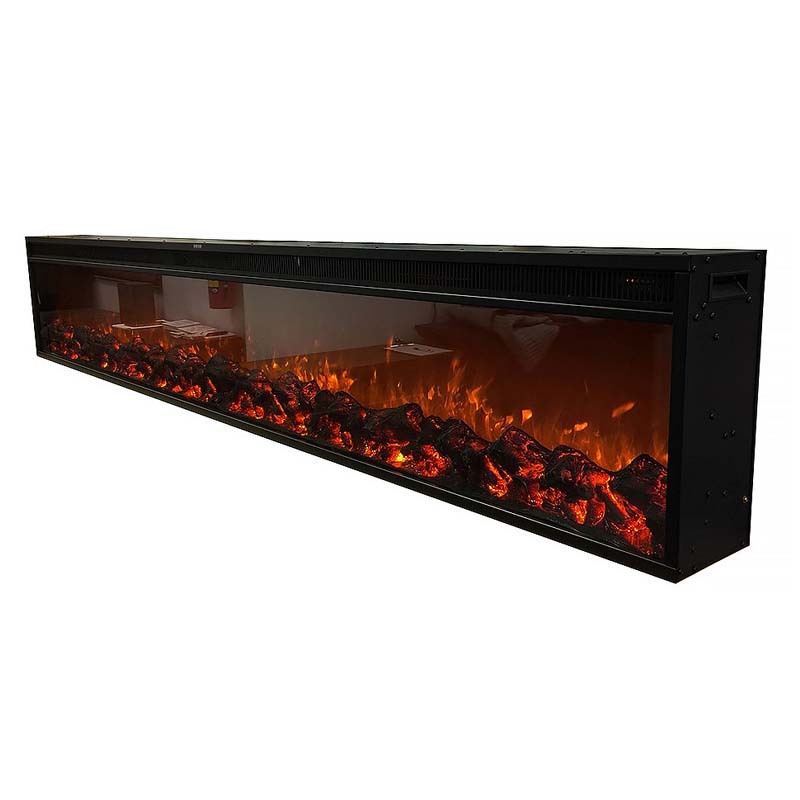 The Emblazon 72 is a wall-length, electric linear fireplace, which has Touchstone's unmatched flame in a frame-less design. Perfect for placement under large size flat screen TVs, the Emblazon 72 incorporates the look of a linear, modern fireplace in an efficient electric model. The landscape design is a perfect alternative to linear, gas fireplaces, and is ideal for new building and renovation projects. They can be custom built to run the entire length of a wall, in the size of your choice. 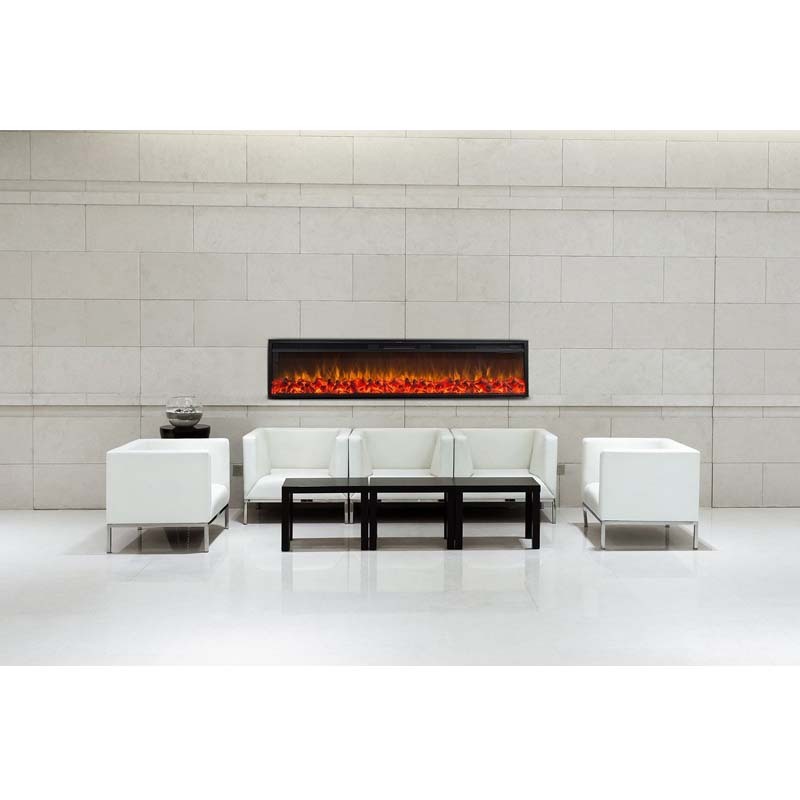 When placed in a larger room, the Emblazon Series gives the location a unique look, and has the impact of a large linear gas fireplace without the maintenance. 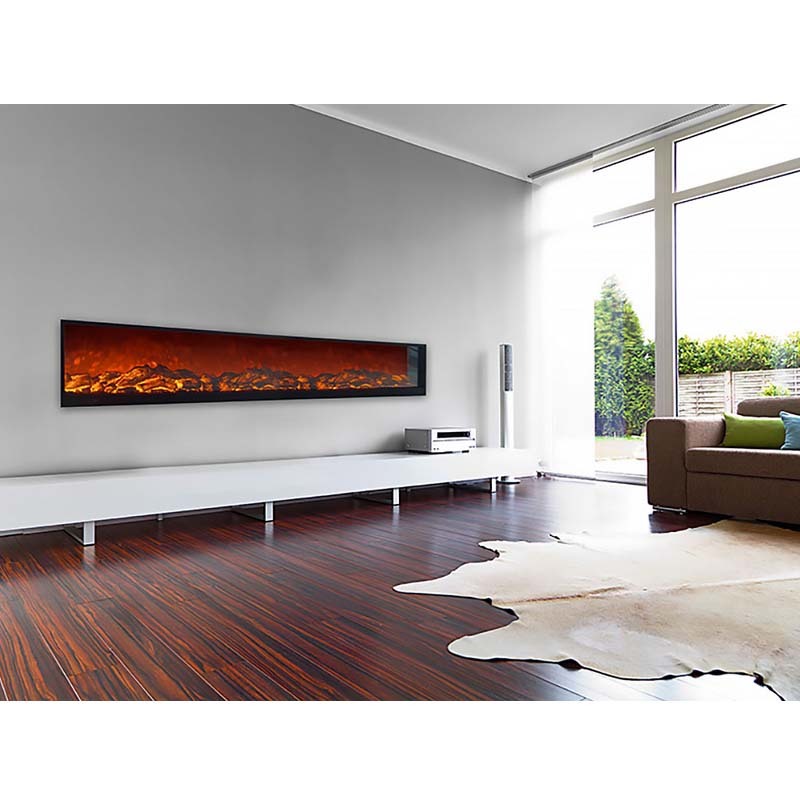 The streamlined design of the Emblazon 60 gives you the versatility to add these large format electric fireplaces seamlessly in any space. 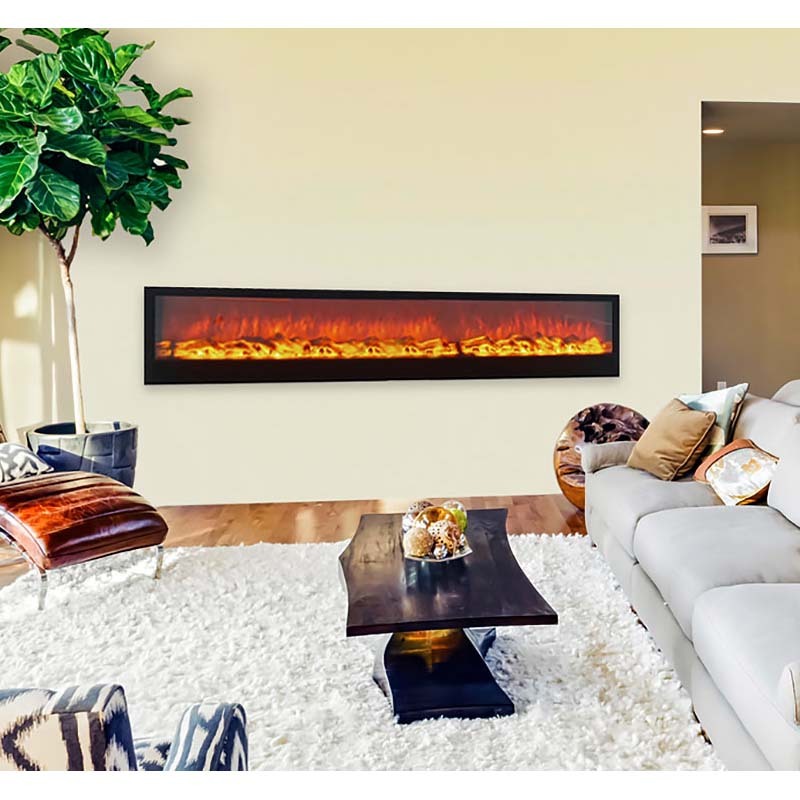 Create a unique viewing experience: Just like newer flat screen TVs, these fireplaces have frameless designs for edge to edge flames, so they can fit in a mantle or built-in cabinet without much wasted space. Placed below a 70+ inch flat screen, these fireplaces create a clean install and visual appeal which fits the size of a much larger television. 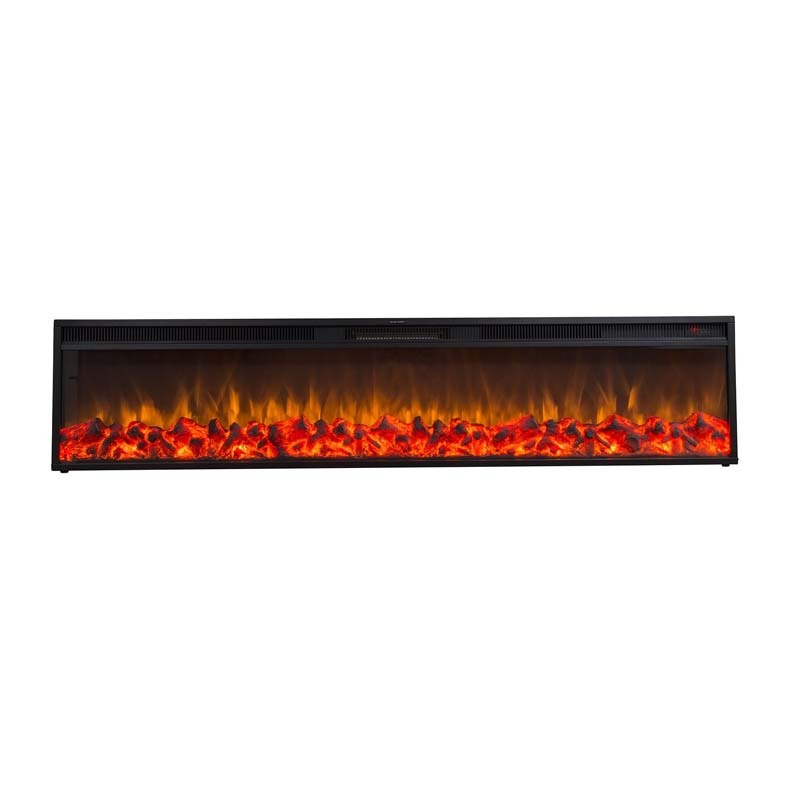 Featuring heating function: The Emblazon 72 linear electric fireplace has a heating element that will add warmth to a room up to 400 square feet. The heater isn't designed to be the sole heater for a room, but will warm up a drafty room and take the edge off a cool morning or evening. Models without heat are available via special order. The total heat is 5,118 BTUs, and runs on a standard 110V electric plug. 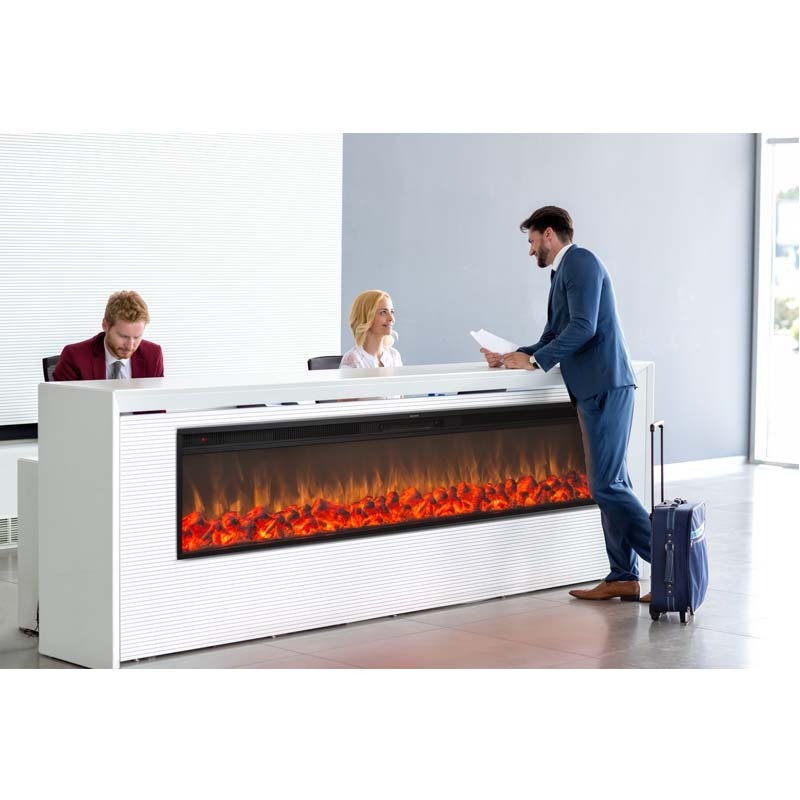 The most realistic flame: The LED flame technology from Touchstone is so realistic that you'll find friends and family are often nervous about getting too close to the flame. Customers often have commented about the natural look of the Touchstone flames, and how they can mistake them for gas fireplaces. 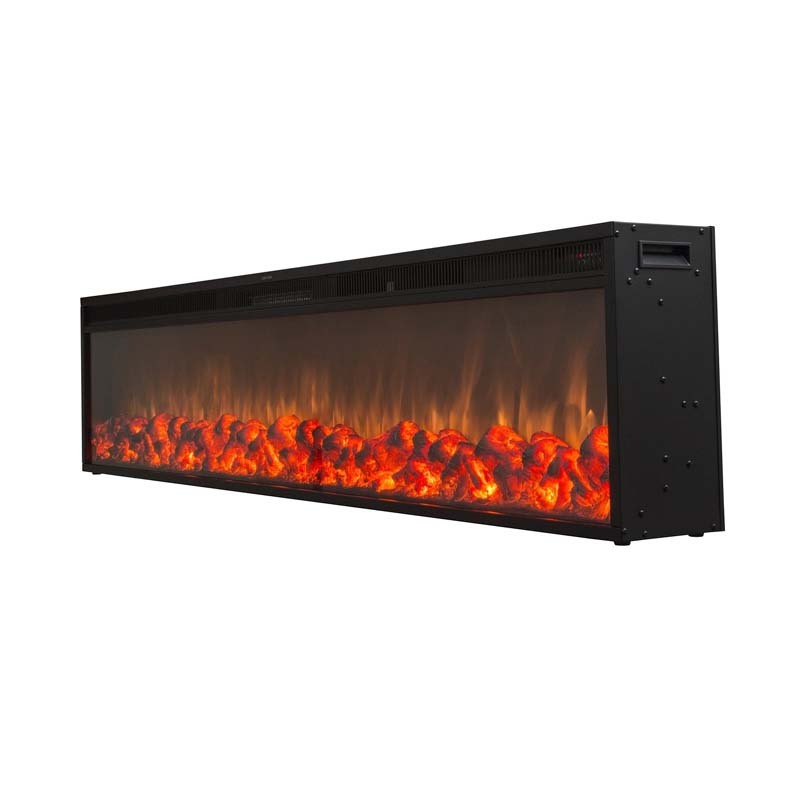 The realism comes from the unique flame and logset, which is unmatched in other electric fireplaces. Looking for a larger size? See the entire Emblazon series under related products below. 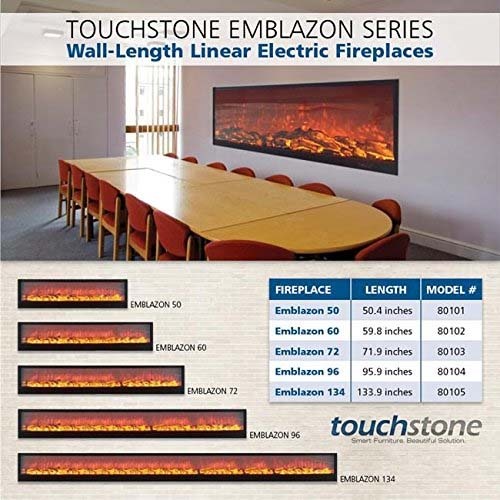 Touchstone offers Emblazon in both heated or non-heated models in 50 inch, 60 inch, 72 inch, 96 inch, and the brand new 134 inch model! Also available without the heat function. See the 80101 below for more info. Available in 50 in, 60 in, 72 in, 96 in, and 134 in. wide models. See related products below.